After clearance from our lawyers, I am happy to announce NuMoney Coin's Buyback Scheme. 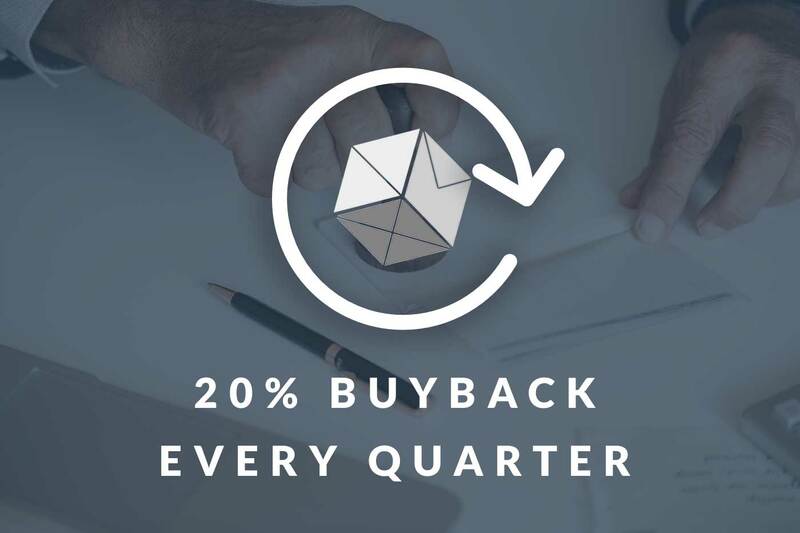 Specifically, NuMoney will buyback NMX from the market with 20% of our trading fee every quarter. With this announcement, NuMoney Coin is the first fiat-crypto exchange coin to have a buyback scheme. Hi, this is Steven, CEO of NuMoney. It has been extraordinary 3 months since the launch of NuMoney Exchange, and we are closer than ever to our goal of building the common currency for South East Asia. As we are approaching the public sale, I’d like to share a bit more about NuMoney Coin, and what we plan to do in the near future. NuMoney Coin, or NMX, is the bridge for South East Asia’s fragmented financial markets. Population in this region are segmented by many borders with diverse governments and markets, Financial markets here are quite often considered as the backdrop of the global financial system. As for cryptocurrency, despite the investors' strong interest in the region, it is a struggle to get in. Out of our own frustration of getting into crypto investing, we have built the NuMoney Exchange, the fiat-crypto exchange for South East Asia, which addresses the fundamental pain point of difficulty in investing cryptocurrency. Compared to other international players in this field, we have significantly lowered the transaction costs and entry difficulty. A comparison among NuMoney and others are listed in the table below. The trade volume in individual SEA nations is relatively small, local markets are unable to reach high liquidity, thus increased the costs of trading. NMX aggregates the supplies and demands from every county in the region into one single market, significantly improving the market liquidity and lowering costs for everyone. NMX allows NuMoney to efficiently allocate resources for every single fiat to NMX market, and market make for each trading pair for it to be efficient, liquid, and low cost. Every quarter, 20% transaction fee profits of NuMoney will be used for buying back NMX at market rate. We are actively working on improving our business process and shorten the by back frequency, ultimately buybacks will be conducted every day. I, along with my outstanding team, are confident more than ever that this Initial Exchange Offering will be an astounding success, and I’d proudly invite you to join this revolution.